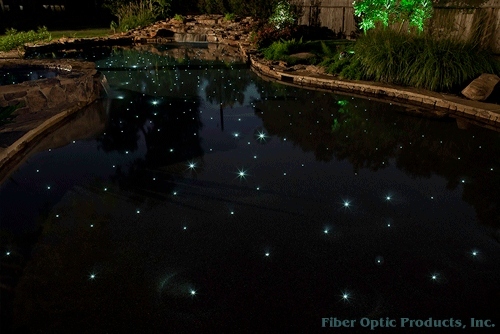 Add a touch of the Universe to your Pool or Spa by incorporating Fiber Optic Stars. We can help you select the right Fiber Endglow Cables or Fibers and the Right Lighting source that to produce Spectacular visual effects. 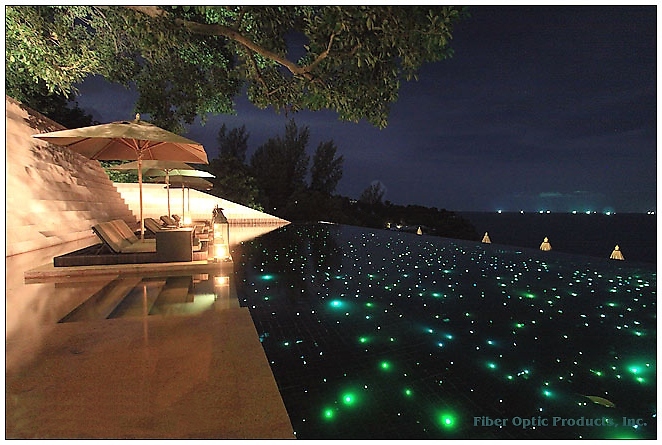 Please have ready the Dimensions of pool bottom, Number of stars you wish to see, Size of Fiber Diameter, and What color light you wish, White Twinkle, or Color. 1. Size of Fiber Spot you wish to see, from .5mm to 3mm, then we have from 1/4" rods up to 2" diameter. 2. White Twinkle light or Color Change ? 3. 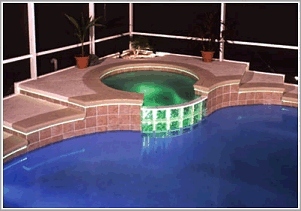 Distance of Light unit from edge of pool (recommend less then 30 feet) ? 4. Will light unit be exposed to whether or covered ? 5. Number of points you wish to per Square Foot. 5. You budget, how much do you wish to spend ? 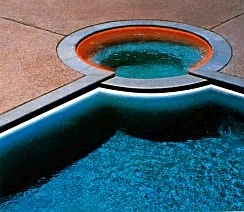 We carry the parts you'll need to light your pool or spa safely with out the hazards of Heat or Electricity in a water area. 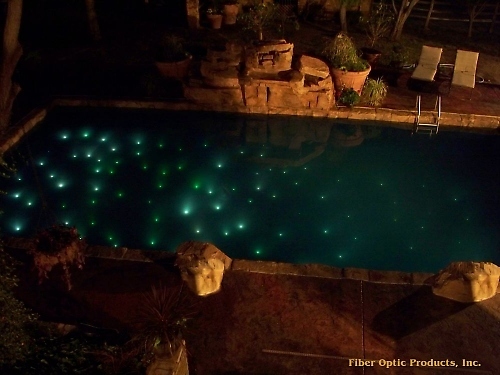 When calling for Sideglow cable, please have the lengths from where you plan to place the Light Unit, run the cable from it, and around your pool, and then back to the Light unit. This is the needed length we need to cut your cable. Once Cable is cut, YOU OWN IT ! No returns on cut cable. The Number one selling light unit for outdoor use is our FOP150-E-Dry - $695. or the FOP150-E-Wet Light unit. $765.00. 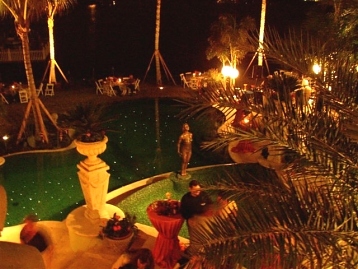 We unfortunately do NOT carry Fixtures for Underwater lighting, we ask they you purchase them from your Local Pool and Spa dealer, then come back to us and we can provide the Right FO Cable to fit you Fixtures as a Much Lower price. We also in come cases can Special CUT you Acrylic Ends for Special Features. We can special make a molded Waterfall unit for Fiber Optic Lighting, please call for more information.